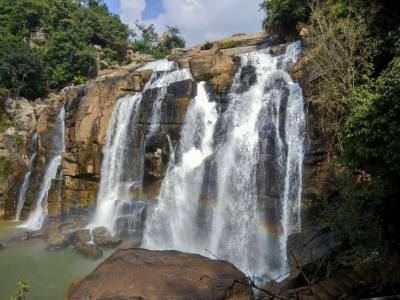 The Hundru falls situated in the town of Ranchi in the state of Jharkhand in India is the highest waterfall present in the state of Jharkhand. 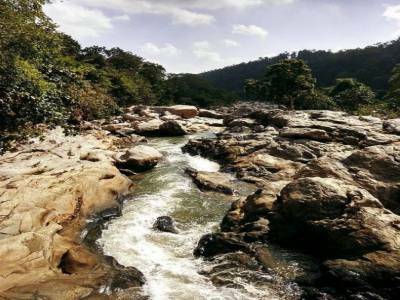 The Hundru waterfalls are created from the Subarnarekha River which flows at length covering the entire state of Jharkhand in its due course. The Hundru falls at an elevation of more than three hundred feet is also home to a hydel power project on its premises known as the Subarna Rekha Hydel Project. Utilizing the force of the natural fall of the river formed due to deferential gradients in its longitudinal course, the hydel power project aims at using hydel force for generating alternative sources of energy. 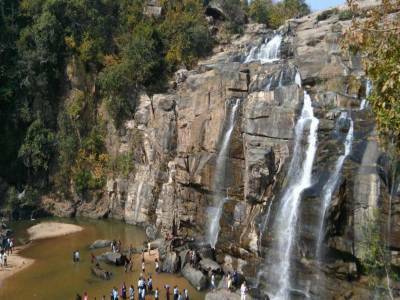 It is a very popular spot for weekend getaways and is a renowned tourist destination in Ranchi. 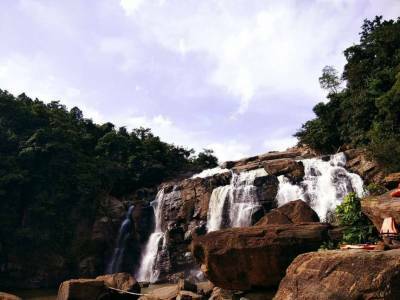 In the summers the foothill of the waterfalls is bustling with people who drop down for a bath in the cool and relaxing mineral rich water of the natural waterfall. The falling water from an elevation of over three hundred feet converges into a stagnant pool at the foothill and it serves as a swimming pool in the summer season. 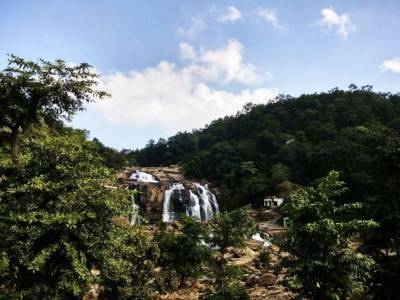 Hundru falls is easy access via roadway is located hardly 45 kilometres from the Ranchi city centre it is an ideal weekend getaway for change of mind and atmosphere. It also transforms into a choicable picnic spot in the winters when the sun's heat is desirable for basking and at the same time the chill in the air is enjoyable for an outdoor feasting with friends and family. Get quick answers from travelers who visit to Hundru Falls.